Anyone who's interested in nursing as a career has probably heard that there's a nursing shortage, and that it's expected to become more pronounced in the coming years. If you're already an RN, you might think it's good for you in a sense, since you'll have job security. That could be true. However, it may be hard for aspiring nurses or those wishing to advance their careers to find a program of study. The shortage is pulling qualified instructors out of nursing education realm multiplying the problem..
Fortunately, there are opportunities that come with every challenge. Based on research, here are ways current and future nurses can seize the advantages during a potentially difficult time for the profession, while helping the profession itself at the same time. According to an article in The Atlantic, about one million current registered nurses (RNs) are over the age of 50, which means that a large portion of the workforce, nearly a third of it will be retiring in the next decade or two. As these older nurses stop working, a new crop of RNs will be needed to fill those vacancies. 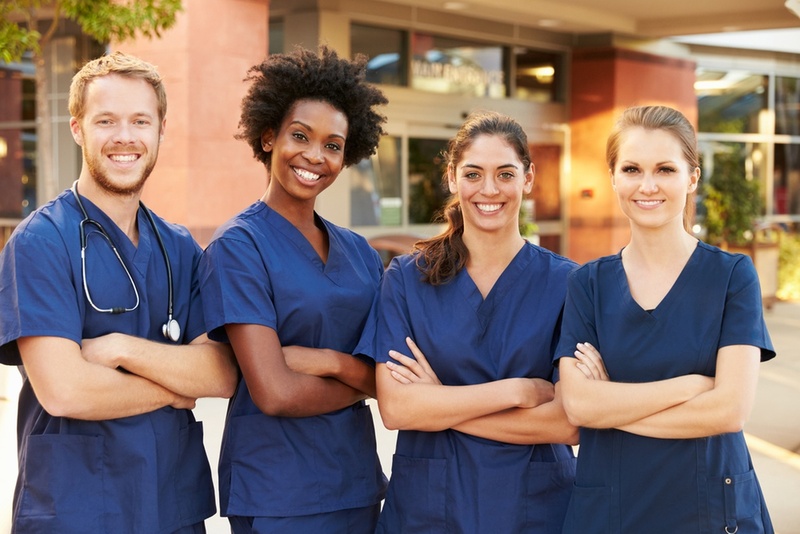 As per the Bureau of Labor Statistics, 1.2 million vacancies are expected to emerge for registered nurses between 2014 and 2022. Researchers at Vanderbilt University add that the impending nursing shortage will be even worse by 2025, with shortfalls not seen since the mid-1960s when Medicare and Medicaid was first introduced. Even without older nurses retiring, our changing population needs more nursing professionals than what we’ve ever had. As a nation, there will be more older Americans living longer according to U.S. Census data projections, by 2050, there will be 88.5 million people over the age of 65. In other words, healthcare offerings must grow to meet this new demand. So if there is a major need for nurses, why is there a shortage problem? The answer: nursing schools. Nursing schools are not keeping pace. Even though there are more nurse graduates now then there has ever been, there still won't be enough to address the shortage. In fact, according to an American Association of Colleges of Nursing (AACN) report, thousands of qualified nursing school applicants are being turned away due to the lack of space in nursing programs. One main reason is that schools are having a tough time finding faculty to teach the curriculum. Those who have high enough credentials to teach nursing often opt for higher paying positions. Two-thirds of nursing schools said faculty shortages contributed to them having to turn down qualified applicants, says the AACN. The nursing shortage isn't necessarily a bad thing for your career in the long run. There will be no shortage of jobs, but there are things you can do to ensure a long and healthy career, and various paths you can take to advance in your field as a nurse. As healthcare innovations happen and people live longer, there will be an increasing need for nurses with specializations. Advanced nursing careers like nurse practitioners , or those with certifications in other areas like nurse anesthetists or gerontology nurses , will be even more important and relied upon members of health care teams going forward. As mentioned above, nursing programs are desperate for qualified nursing instructors. If at some point you want to take a step away from the physical demands of shift work, becoming a nurse educator is a path worth exploring. While the salary might not be as attractive, you'll work a less intense schedule, and have the opportunity to use your knowledge to educate future nurses. It’s a different environment, but just as rewarding. Travel nursing grew out of the need for hospitals and health care facilities in smaller cities and rural areas to fill their talent gaps. If you're interested in seeing different parts of the country, travel nursing offers a great opportunity to do so. You'll work as a contractor with a travel nursing agency, and receive such perks as having your travel and living expenses covered. If there are no nursing programs in your area that fit your schedule or lifestyle, many institutions are now offering courses and programs that can be completed online. There is usually some clinical component that has to be done in person, but online nursing programs provide more options if brick-and-mortar programs are unavailable. Perhaps the best thing to come out of a nursing shortage is a deeper appreciation for the great work that nursing professionals do. That being said, hopefully more support will be given to help fuel nursing education programs so that future qualified applicants will be able to fulfill their dream of becoming RNs.